Although each social media experience is different, the majority revolve around sharing photos and videos. Whether it's Snapchat, Instagram, or Facebook, these apps contain some form of shareable images, GIFs, and movies, making your phone's camera a critical factor in your experience. But there are many other aspects that determine how well your phone embraces the social media life, so we consolidated all factors and created a comprehensive list of phones that provide the best experience for the current array of social media apps. Starting Price: The MSRP of the lowest-end variant of the phone. Max. RAM: The maximum amount of RAM available on any variant of the device. Since social media apps can consume a lot of memory, with more RAM, your phone can cache more apps, allowing you to return to previously-opened apps without having to reload them first. Display Size: The size of the phone's screen. Because photos and videos are a large part of most social media apps (with some apps explicitly designed around these two mediums), having a larger screen can be beneficial as it allows you to see more content at once. Rear Camera Resolution: The resolution of each sensor on the rear camera. The resolution affects the ability to crop images, as higher megapixels give you more room to work with when cropping. Higher resolution will also take better advantage of the additional pixels in your display, improving the viewing experience. Rear Camera Aperture: The size of the aperture (opening) of each rear camera lens. Represented as f divided by (number), a lower number is preferred as it signifies a wider aperture. This results in a higher amount of light available to the camera, and thus, a greater amount of detail available for each image. Rear Camera OIS: Whether the rear camera has optical image stabilization, and if so, which lens(es). Optical Image Stabilization (or OIS) helps to counter shaky hands when taking photos. It's also is a must for low light photography, which requires the use of slower shutter speeds and makes the camera more susceptible to movement. Ideally, you want OIS on all rear camera lenses. Rear Camera Flash Type: The type of flash available to the rear camera. Flash allows you to illuminate darker areas. The more LEDs available equal more light for the image and a more even spread of light, minimizing the chance of underexposure. Front Camera Resolution: The resolution of each sensor on the front camera. The resolution affects the ability to crop images, as higher megapixels give you more room to work with when cropping. Higher resolution will also take better advantage of the additional pixels in your display, improving the viewing experience. Front Camera Aperture: The size of the aperture (opening) of each front camera lens. Represented as f divided by (number), a lower number is preferred as it signifies a wider aperture. This results in a higher amount of light available to the camera, and thus, a greater amount of detail available for each image. Front Camera OIS: Whether the front camera has optical image stabilization, and if so, which lens. Unfortunately, none of the phones on our list include this feature, although some do include software-based stabilization. Slow Motion Video: The highest frame rate (fps) and resolution of the phone's slow-motion video mode. Only two Samsung devices on our list can perform super slow motion at 960 frames per second. Always-on Display: Whether the phone supports the always-on display feature. Typically used by AMOLED panels, this feature turns off all but a few pixels that display essential information such as the clock, date, and most importantly, new notifications. 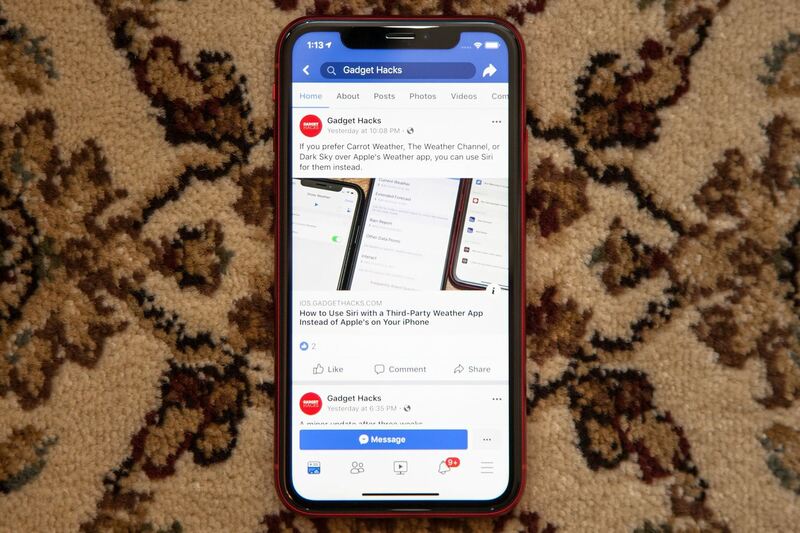 With this feature, you can be sure to get the latest alerts from your social media app of choice as soon as they arrive from your phone, without having to turn on the screen first. Notification LED: Whether the phone includes an LED light which blinks for notifications. A notification LED is one of the fastest ways to detect new messages and posts. Max Internal Storage: The largest storage capacity available to any variant of the phone. 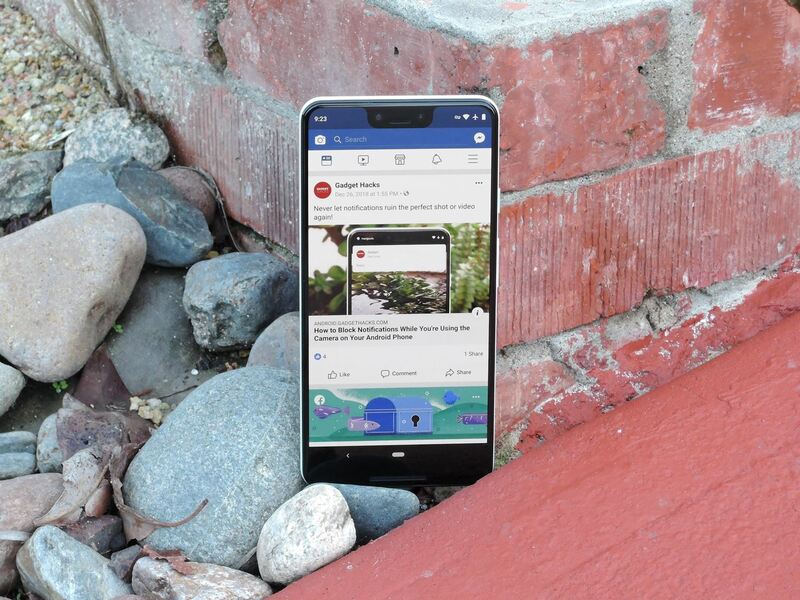 Since most social media users will take multiple photos before deciding on sharing one, having a large amount of internal storage will help store these photos, especially when the phone doesn't support expandable storage. Expandable Storage: The ability to use microSD or nanoSD cards for additional storage. At the time of writing, this feature is exclusive to Android devices, with only a handful supporting the function. With these memory cards, users can increase the amount of available space to save photos and videos. Battery Capacity: The size of the battery included with the phone. While not a perfect representation, the capacity of the battery can provide an idea of the potential battery life, with the higher capacity preferred. However, because there are multiple components involved (such as the display, display type, resolution, RAM, and OS battery management), it isn't a perfect system. Emoji Version: The current version of Emoji supported by the smartphone. The higher the version number, the more emojis available to use. Newer emoji versions also include changes made to the previous design. Despite what appears to be a large difference, Emoji 5.0 is the third-newest version, followed by 11.0 and 12.0. OS Version: The current version of the operating system. Having the latest version of each OS provides access to the latest features in some of your favorite social media apps. For example, only with iOS 12 does your phone gain access to grouped notifications. At the time of this writing, the latest version of iOS is 12.1.2, while the newest version of Android is 9.0 Pie. Skin Version: The current version of the skin running on top of the operating system. Exclusive to Android, OEMs can create and operate their own skin which leverages the changes of the software update to create a skin which may have a different look and additional options and features. In the case of Samsung, the version also dictates the emoji version, as Samsung is one of a handful of OEMs which changes the look of emojis on their device. Access Cloud Service Directly: The ability to access cloud storage within social media apps — for instance, uploading a photo you stored on Google Drive from within the Facebook app. While Android devices can do so, iPhones aren't capable of this function. Instead, you are required first to open the cloud storage app and share the content with the social media app of your choice. 3D Touch: The ability to use 3D Touch for quick actions within the app. An exclusive iOS feature, 3D Touch is a hardware feature which distinguishes the pressure of your touch. Once registered, it can bring up special sub-menus allowing you to interact with the app without actually opening it. For social media app, this can include the ability to reply to comments, quickly jump into a specific section, and much more. Use Multiple Accounts: Whether the phone has the ability to store multiple sandboxed copies of the social media app. With multiple copies, you can log in into two or more accounts simultaneously, allowing to receiving notifications for both accounts. Only on Android is this possible without rooting or jailbreaking. Better Snapchat Filters: Whether your smartphone can use facial recognition and tracking hardware to improve Snapchat filters. While there are a few Android phones with similar facial recognition system to Apple's Face ID, this feature remains exclusive to Face ID-equipped iOS devices at the time of this writing. Facebook Lite: Whether Facebook Lite is accessible to your device. Limited to Android devices, this is a lightweight version of the Facebook app which is a smaller download file and uses fewer system resources. This app is ideal for whenever storage is limited or you're on the go. 3D Photos in Facebook: Whether the smartphone can access Facebook's new 3D photo features. 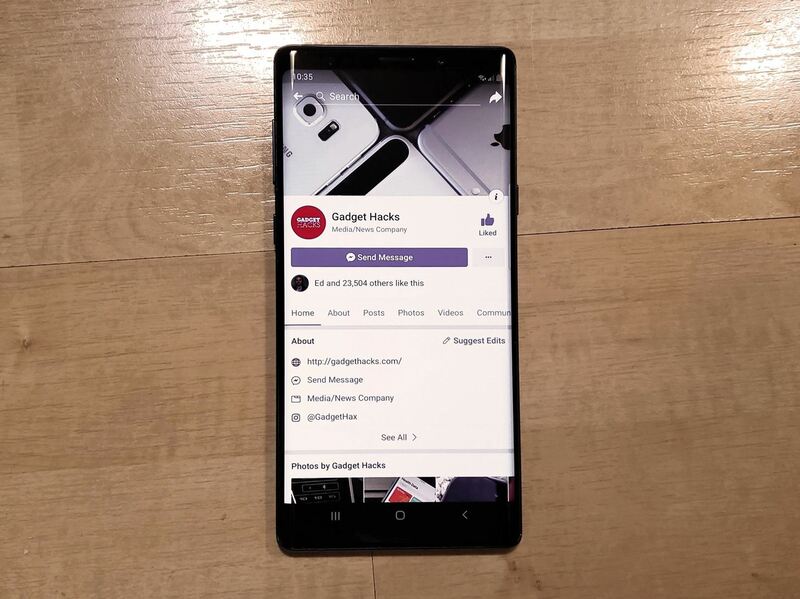 Currently, this feature requires dual rear cameras and is limited to iOS, although Facebook promises an Android version soon. Twitter Live Audio Only: The ability to only output the audio of a Twitter Live stream instead of both video and audio. Exclusive to iOS, this feature saves battery life as the display can remain off while you're still enjoying the broadcast. DxOMark Photo Score: A numeric score of the phone's photo capabilities from DxOMark. This score is different than the overall score. The higher the number the better. DxOMark Video Score: A numeric score of the phone's video capabilities from DxOMark. This score is different than the overall score. The higher the number the better. Accessories Availability: A general indicator of the number of third-party accessories available to this phone, such as external flashes, lenses, cases, and selfie sticks. We ranked availability on a scale of low, medium, and high, with phones such as Samsung's Galaxy and Apple's iPhone line achieving a high rating thanks to their ubiquitousness. First, all phones we considered for this list absolutely had to have excellent cameras on the front and rear. Since DxOMark is the industry standard for testing smartphone cameras, we started by focusing in on their list of the top phones for photography. To make this list, phones needed an overall DxOMark score of 99 or higher. 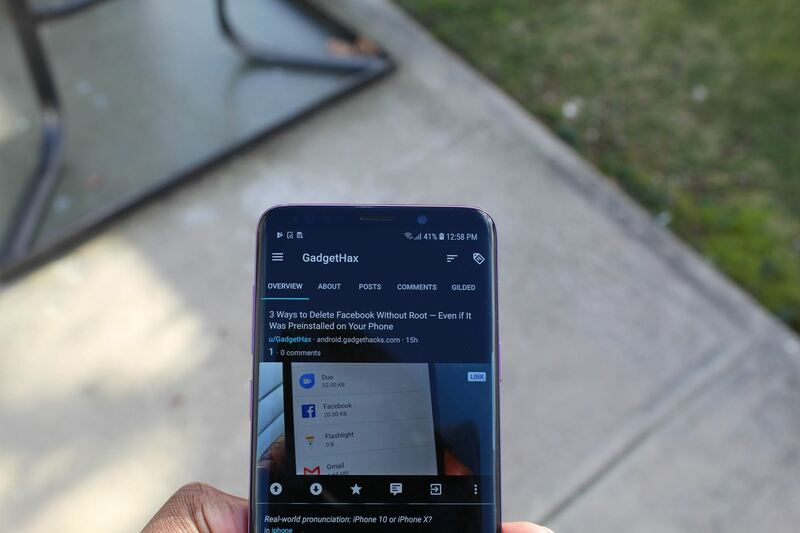 This eliminated several popular devices such as the OnePlus 6 and 6T. For the sake of future-proofing, we also limited this list to phones released within the last year. This eliminated popular models such as the iPhone X and Pixel 2. And since we're a US-based site, we only considered phones available in the United States through a carrier or major retailer. This requirement eliminated great choices such as the Huawei Mate 20 Pro and Xiaomi Mi Mix 3, which would have otherwise made our list. While it is possible to import these devices, the lack of US LTE bands and official US warranty hinders the experience. From there, we whittled down the field to the top five phones in this category based on how they scored in the comparison chart above. This is where another finalist, the HTC U12+, fell off. Finally, because Apple, Google, and Samsung decided to maintain most (if not all) the specs between both the smaller and larger phone in their flagship lineups, we only listed one of each. We went with the bigger-screen options over the smaller versions since the large display will allow you to view more content. However, we'll mention if a smaller option is available for any phone below. The Galaxy Note 9 is a powerhouse of a smartphone. Samsung made minimal compromises, and as a result, created a phone that can meet the needs of different users, including those of us who spend countless hours a day on various social media apps. With its top-tier camera and fantastic battery life, you won't find a better phone for checking out the latest images on Instagram or watching videos on YouTube. 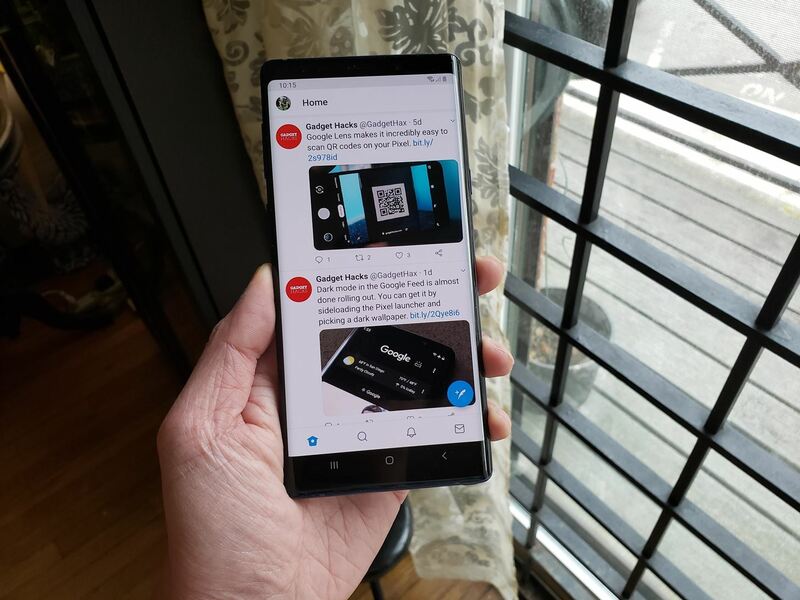 The Note 9 has all the little (but useful) features for the best experience on social media. It's one of two phones on our list with a notification LED, so you'll never miss a notification. It even doubles down and includes an always-on display for glanceable information and alerts without even having to wake your phone. The Galaxy Note 9 comes in two storage options, 128 GB and 512 GB. However, unlike the Apple iPhone XS Max, it also supports expandable storage. Right now, the largest card available is 512 GB, which can combine with the 512 GB internal storage to give you a full terabyte for all your pictures and videos. How large is 1 TB? With the average size of photos around 3 MB, you could take over 300,000 pictures before running out of space. When it comes to photo and video quality, the Galaxy Note 9 is one of the best cameras available. DxOMark gave it a photo score of 107, the second highest on our list. DxoMark was impressed by the single LED flash and the Note 9's fast and accurate autofocus. They also stated the bokeh effect was convincing, achieving "a realistic-looking and attractively blurred background." Thanks to dual OIS and fast autofocus, the Galaxy Note 9 was able to achieve a respectable 94 video score. Additionally, this phone is one of only a handful on the market which supports super slow-motion capture at 960 frames per second. With so many frames, the Galaxy Note 9 can create incredible slow-motion videos that showcase each movement in an action. With its incredible, large display, all-day battery life, amazing dual aperture rear camera, and super slow motion video, the Galaxy Note 9 is perfect for social media junkies. This phone makes it easy to check images, videos, and status updates and share high-quality media thanks to its top tier cameras. And with so much internal storage (and support for expandable storage), you no longer have to delete any of the hundreds of photos you take before deciding what to share. If you or someone you know spends over an hour a day on social media, this is the phone for you. 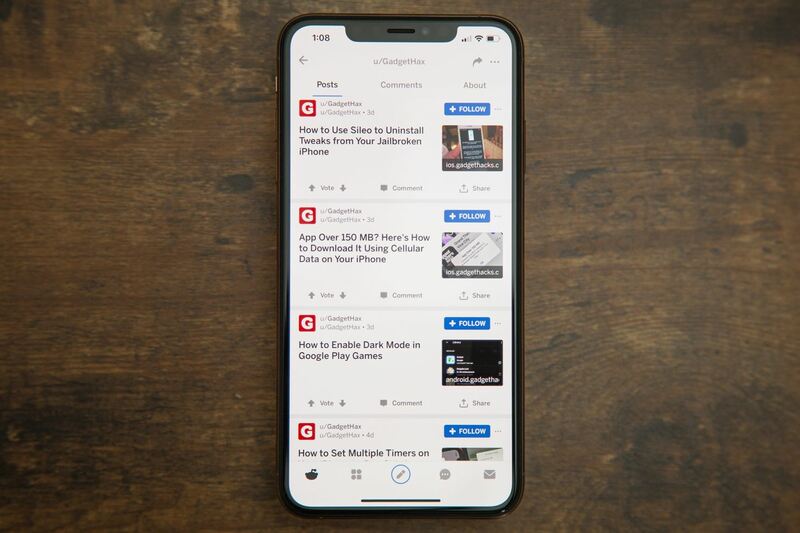 If you happen to be on the iOS side of the fence, look no further than the Apple iPhone XS Max. 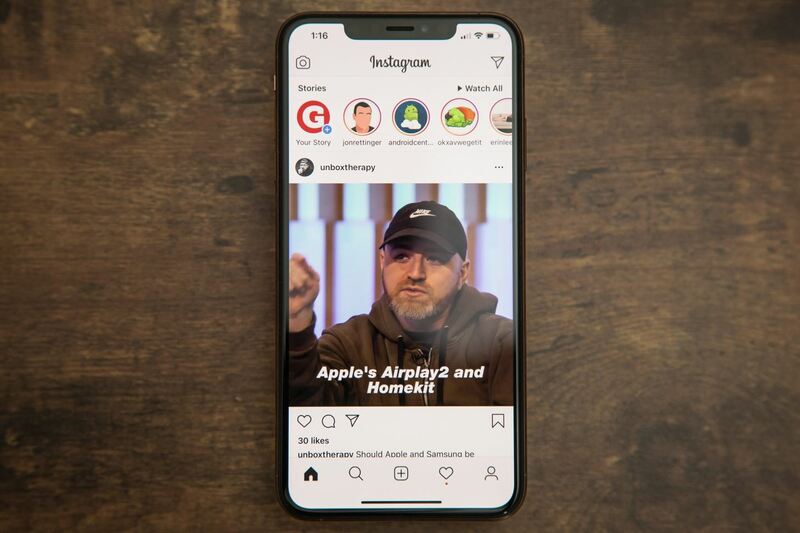 Apple once again improved the hardware from last year's iPhones (including the camera) to create the best iPhone yet and the best iPhone for consuming social media. 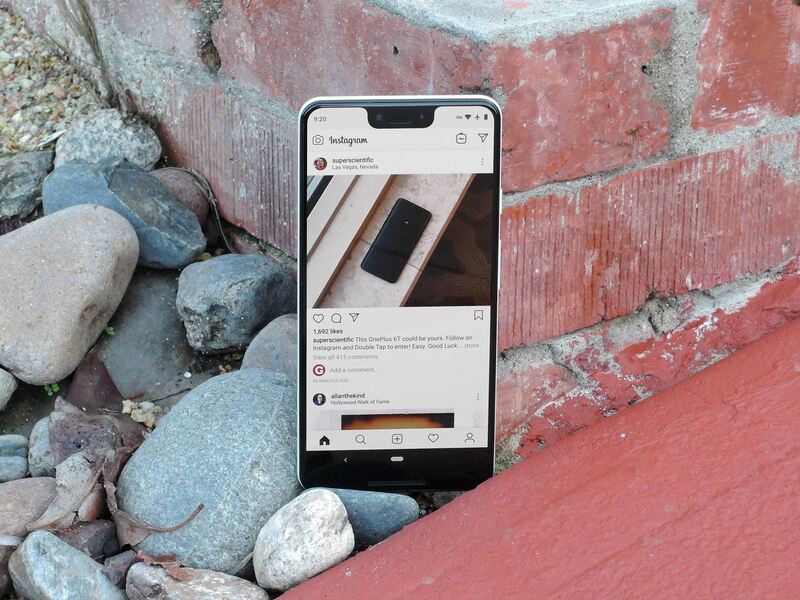 With its big screen, class-leading camera, and iOS operating system (which offer its own advantages), this is one of the best devices for heavy social media users. The iPhone XS Max has the highest DxOMark photo score on our list at 110. DxOMark raved about its noticeable improvement from last year's models, including better use of wide dynamic range and improved detail. What's even more impressive is the fact that the video performance was also well received at 96. That is the second highest on our list, and only two points lower than our winner. When it comes to social media, having the best picture and video is vital. However, you don't need to limit yourself to the capabilities (and limitations) of your smartphone's camera. External lenses, external flash, and tripods are just a few of the attachment available, and fortunately with Apple, there is a huge collection to choose from. Except for Samsung, no other OEM has as many third-party accessories, making it perfect for those trying to start a career as a social media influencer. 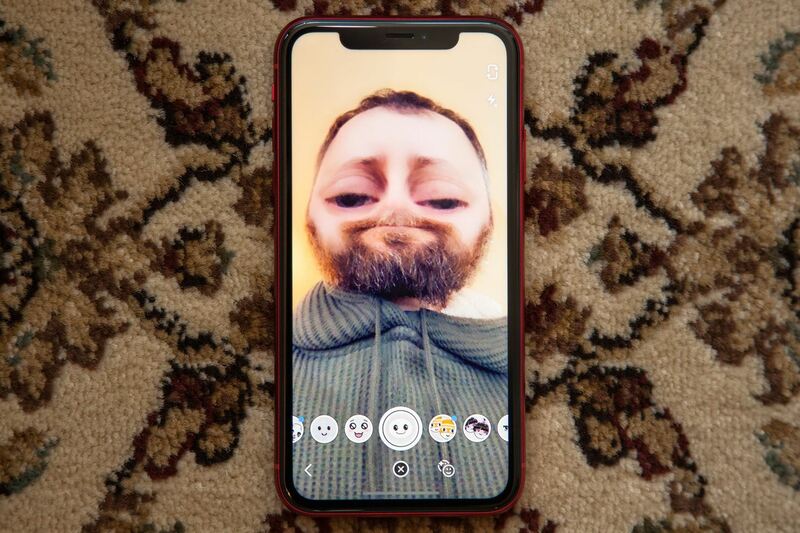 Thanks to Face ID, Snapchat users can enjoy better filters. Snapchat can access the facial tracking abilities of the TrueDepth camera system for better mapping of your face, allowing for the filter to stay in place. Additional, at the time of thiswriting, Snapchat is still utilizing using screen capture on their Android app (except for Pixel devices). However, for iOS, it can interact directly with the camera for significantly better pictures. The iPhone XS Max also has the largest screen on our list at 6.5 inches. With such a large screen, you can view more content, whether it's images, GIFs, or videos. You'll spend less time scrolling and more time enjoying the media. While the iPhone XS Max does have some shortcomings, it is still an amazing phone for social media. With its top-notch rear and front camera, you can share quality photos no matter what app you use (including Snapchat). Thanks to iOS, you can take advantage of Facebook's 3D Photos and listen to Twitter Live with the screen off. Finally, if you happen to prefer smaller phones, you can opt for the iPhone XS instead without making any compromise in its ability to enjoy social media, with the only change being the 5.8-inch display instead of the 6.5-inch screen. If you are looking to save a bit of money, the Samsung Galaxy S9+ is sort-of the "lite" version of the Galaxy Note 9. 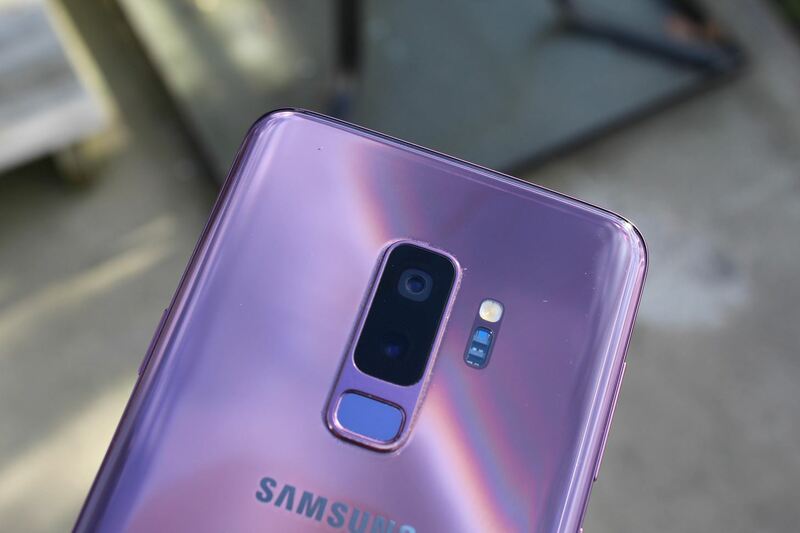 You get many of the same components and features, including the same rear- and front-facing cameras, but at a significantly lower cost (the MSRP listed above is a lot higher than the actual price you'd pay at most stores). On paper, the camera found in the Galaxy S9+ is virtually identical to the one in Galaxy Note 9. Both phones use dual 12-megapixel rear cameras with an f/2.4 aperture on the telephoto lens and variable aperture on the primary shooter. Both phones also include OIS on both lenses for better low-light performance. They even share a similar 8 MP f/2.0 front-facing camera. However, despite the similarity on paper, the camera is slightly worse in the S9+. Both photo and video performance are marginally lower than the Galaxy Note 9, with both scores having a rating 3 points lower. A review of the categories used by DxOMark shows that the differences are minimal, however, with the S9+ mainly suffering from a slightly slower autofocus and a less realistic bokeh effect. Since the Galaxy S9+ came out in March of 2018, its price has had a chance to drop significantly. While in the chart we listed its MSRP, the device sells for much cheaper. Currently, Amazon is selling it for under $700, with the price expected to drop precipitously once the Samsung Galaxy S10 is released in March 2019. Therefore, you get almost the same camera performance as the winner of our list at a $300 discount. If you are looking for the best value, there is no better option than the Samsung Galaxy S9+. It currently sells at the lowest price on our list and offers nearly identical performance to our winner. 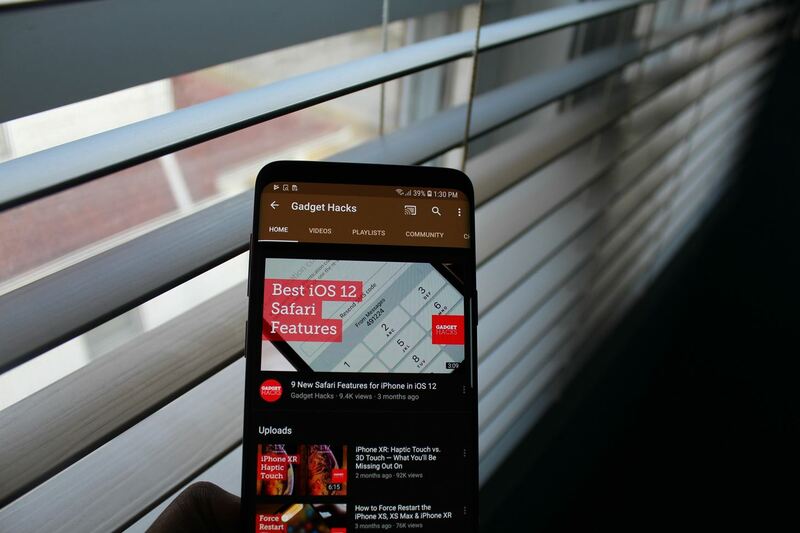 While its little brother does make some compromise in specs (namely less RAM and a single rear camera), the Galaxy S9 is another great option for those looking for a somewhat smaller phone. You might have heard that the Pixel 3 and Pixel 3 XL's camera is pretty fantastic. What Google has been able to accomplish is impressive, especially considering it's only using a single lens. However, what's more impressive are the improvements it made to video performance, making it an excellent choice for prospective YouTubers looking to record their first video or for those looking to get into live streaming. 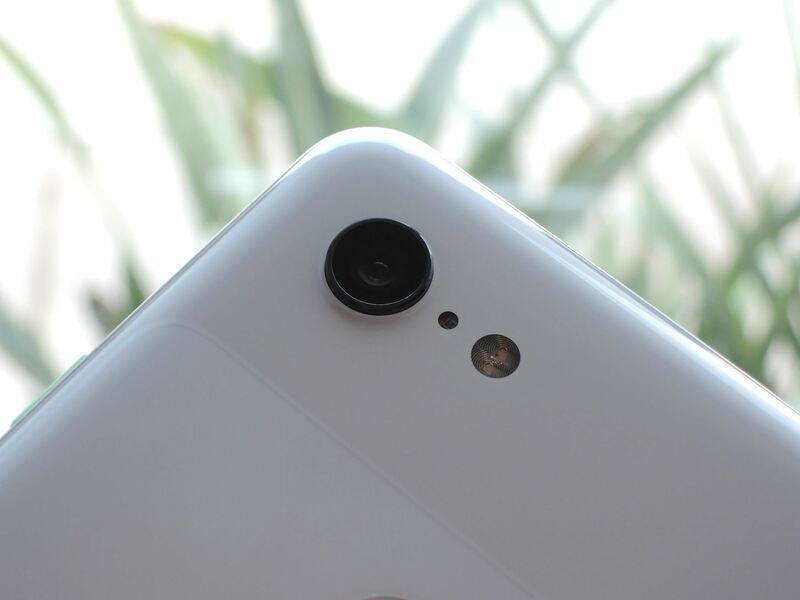 The Pixel 3 XL uses a single 12.2 MP rear camera. Despite the single lens, Google still manages to provide many of the features of a double (or triple) camera setup, including better-than-digital quality zoom and bokeh effect. The Pixel 3 XL also brings some new features such as Night Sight, which illuminates photos even in the darkest of conditions. Another new feature is Top Shot, which takes a series of shots and chooses the best image for you automatically. Machine learning can analyze each photo taken and find the one where the subjects are smiling, eyes are open, and everyone's looking at the camera. Because users love to take group selfies, Google included a second wide-angle lens on the front of the phone. This lens is 184% wider than the front-facing camera of the iPhone XS, making it easy to take group selfies. Every Pixel 3 and 3 XL phone has unlimited storage on Google Photos, saving you from filling up the 128 GB internal storage. And since this is cloud storage, the photos are accessible wherever you have internet access, even when using other devices (such as your computer). Thanks to the open nature of the Android OS, apps are able to perform tasks that wouldn't be possible on iOS without jailbreaking. One such feature is cloning apps. Instead of signing in and out of multiple accounts, with Android devices such as the Pixel 3 XL, you can create a copy of the apps and log into each account at the same time. This way, you can stay up to date on each account's notification. Another method here is to simply log into the phone with a second user account, keeping your social media accounts separated behind different lock screen logins. Speaking of Android, this is the only device on our list that currently runs the latest version of Android, 9.0 Pie. While both the Samsung Galaxy Note 9 and Galaxy S9+ will be receiving it shortly, at the time of this writing, we are still waiting on the update in the US. With 9.0 Pie, the Pixel 3 XL enjoys social-friendly features such as the improved Notification Channels. With this, you can have more important notifications from an app pop up on your screen and make a sound, while less important alerts from the same app get tucked away in the notification shade. With the Pixel 3 XL, you are getting the latest and greatest of Android and all the advantages that brings. It is a device that will get better over time thanks to Google's new app policy and updates to the camera app. The Pixel 3 XL has the best video camera on our list according to DxOMark and top-tier photo performance, especially when using Auto mode. And with unlimited Google Photos storage, you never have to worry about running out of space. Like the Apple iPhone XS Max, its smaller sibling has the same specs for an uncompromised experience (only the screen size, resolution, and battery capacity is different). One of the most affordable iPhones in years, the iPhone XR has the lowest MSRP on our list. For approximately $750, you can get most of the features of the iPhone XS Max, but with a few compromises and tweaks. And thanks to some of these changes, battery life on this phone is amazing, so you can enjoy endless hours of contents before needing to charge. 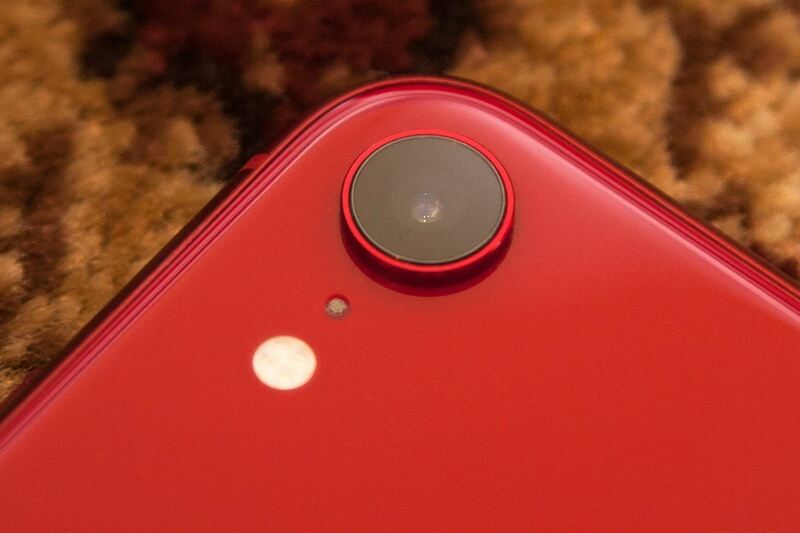 The iPhone XR has the same main camera as the iPhone XS and XS Max, a 12 MP lens with f/1.8 aperture. While it lacks the telephoto lens found in the XS, it still manages to get the highest single-lens DxOMark photo score of 103 (tied with the Google Pixel 3 XL). It also shares similar video performance, achieving the same 96 video score as the XS (the second-highest on our list). And just like the iPhone XS, there is a wide array of accessories to enhance the experience, including power cases, lenses, and camera attachments to improve your next YouTube video. The iPhone XR also comes equipped with a quad-LED flash. It is a True-Tone flash, which means the color temperature of the light adjusts based on the surrounding light. Thanks to its ambient RGB light sensor, this same feature is available for selfies when using the screen flash as well. 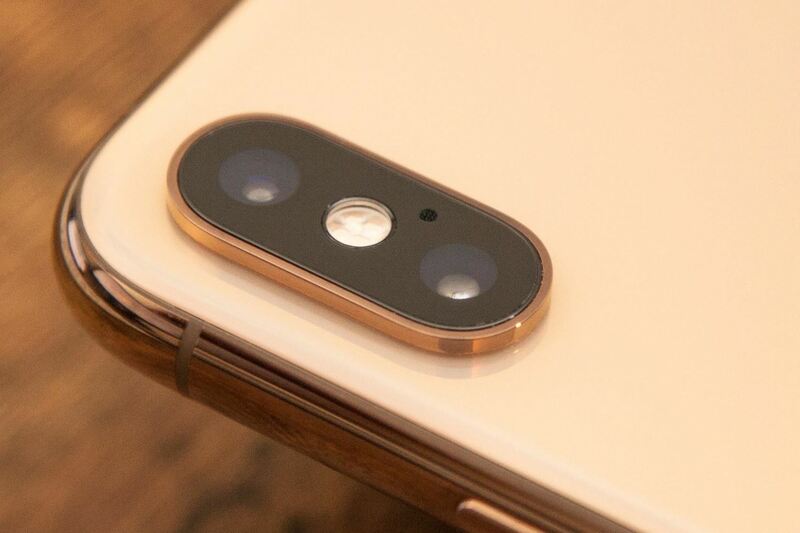 The XR also supports many of the same camera features as the XS, including the depth control, Smart HDR, and Portrait Lighting, which creates unique lighting effects for selfies. While you are limited to only one screen size of 6.1 inches, it does come equipped with a Retina Liquid LCD panel. Usually, this would be a disadvantage when compared to OLED, but it does have one solid upside: better battery life. Despite having a battery capacity almost 1,000 mAh lower than the Galaxy Note 9, it manages to provide similar battery life. There are, however, some disadvantages to the cost savings with the iPhone XR, which ultimately led to its last position on our list. The first is the lack of 3D Touch. Apple "replaced" it with Haptic Touch (which is really just long-press), but without the component to detect various-pressured touches, it doesn't operate the same, losing the advantage of quickly accessing various menu and options in apps. Second, because it lacks dual cameras, it can't take advantage of the 3D Photos feature in Facebook. The argument for the iPhone XR is similar to the Galaxy S9+. For $250 less, you can get a phone with a very similar camera and video performance to the top-tier model, all with a comparable experience when using your favorite social media app. For a camera on par with the Google Pixel 3 XL, this is one of the best options available and a perfect phone for those in love with social media. Open your phone's Settings menu and locate either Screen Time (iOS) or Digital Wellbeing (Android). If the graph shows you spending a large portion of your day on any social media app, then you should look into getting one of the phones on our list. With any of these devices, you can enjoy the best experience on your preferred app, whether you just want to enjoy the content or share your experience. While every phone on our list is a great choice, the best option is the Galaxy Note 9. Not only does it have amazing battery life and an incredible large screen, but it also sports one of the best smartphone cameras with excellent performance in both photography and video. It offers up to 1 TB of local storage (when using the 512 GB model and a 512 GB microSD card), allowing you to store hundreds of thousands of photos. Put simply, the Galaxy Note 9 will enhance the experience you are currently enjoying, making it easier to grow your brand online or just enjoy the millions of hours of content created by others.